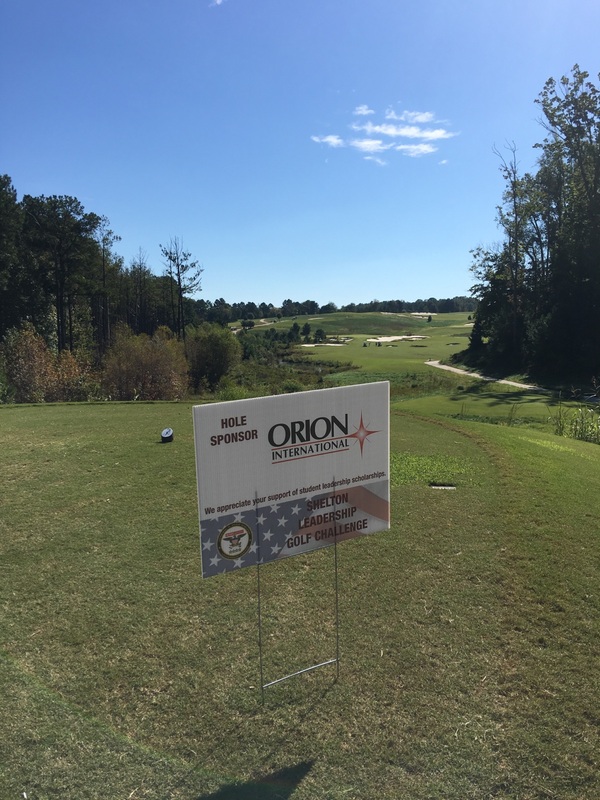 Orion International had the privilege of sponsoring and participating in the Shelton Leadership Golf Challenge earlier this month. With blue skies and perfect fall weather, we could not have asked for better conditions for a great fundraising golf challenge. The Shelton Leadership Center provides educational scholarships through privately funded endowments to outstanding young men and women who have demonstrated emerging strengths as leaders and aspire to learn, lead, and serve. The General Hugh Shelton Leadership Center was founded in 2002 following the retirement of General Shelton as Chairman of the Joint Chiefs of Staff. General Shelton continues to “give back” to his alma mater, NC State University and to help develop the next generation of values-based leaders. To inspire, educate, and develop values-based leaders committed to personal integrity, professional ethics, and selfless service. 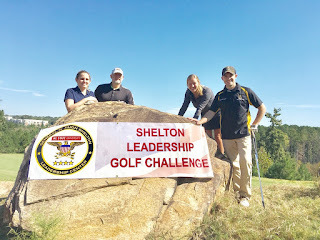 This year, the purpose of this captain’s-choice tournament was to support the General Hugh Shelton Leadership Center’s educational programs and scholarships. The day focused on recognizing Active Duty service members, Veterans, National Guard and Reservists, and well as those who support our troops and their families. Orion is grateful to be a part of such a great organization, and we are looking forward to next year's golf challenge! 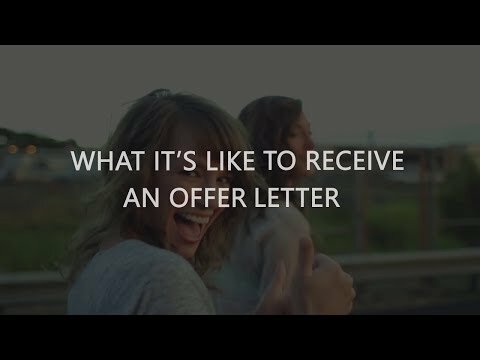 Learn more about the Shelton Leadership Center here.